Parallelogram: Newsletter of the Parallel Case: If you weren't envious of us before, you will be soon. If you weren't envious of us before, you will be soon. I was the happiest person this weekend. In case you haven't noticed, I've changed our profile picture for the blog. I was using the one from the 1990's which I took from the Big Sleep Books bookstore website. For the sake of putting a picture to the blog, I used it- but I'm not one to dwell on the past. Your faithful blogger yanked people from conversations and half-finished cake to corner members into taking pictures. 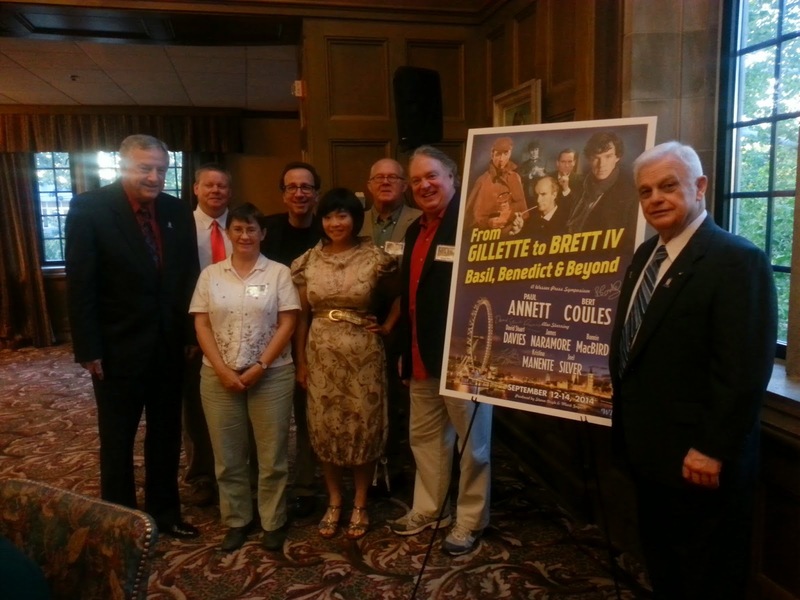 Anyhow, I had the opportunity to do this because some of us got the marvelous opportunity to attend the Gillette to Brett IV conference organized by the great Steven Doyle. 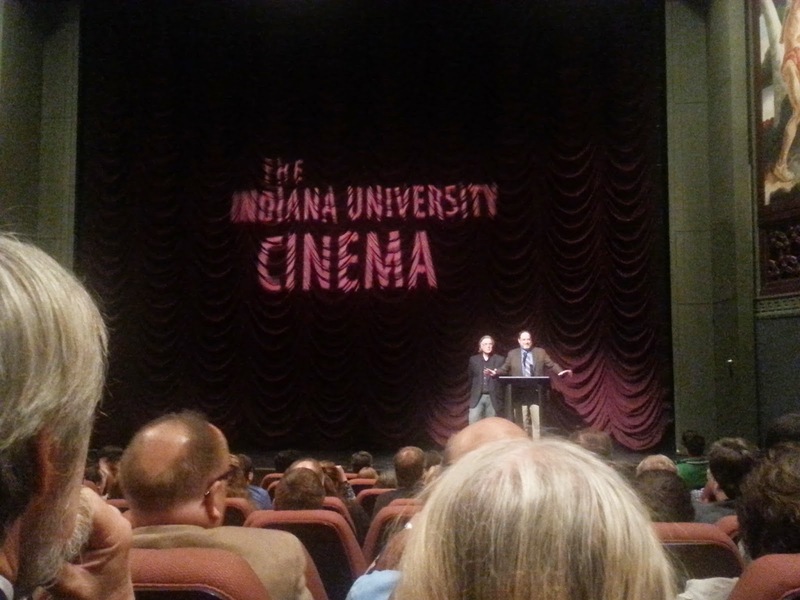 The entire conference was on the stony grounds of the beautiful Indiana University campus that supplied us with a steady stream of Starbucks coffee and room to discuss Sherlockiana with like-minded folk. Friday started off with a tour of Lilly Library, named for Eli Lilly. Unlike, say, "tuna!lock", spending ridiculous amounts of money to collect Sherlockiana is by no means a new concept. 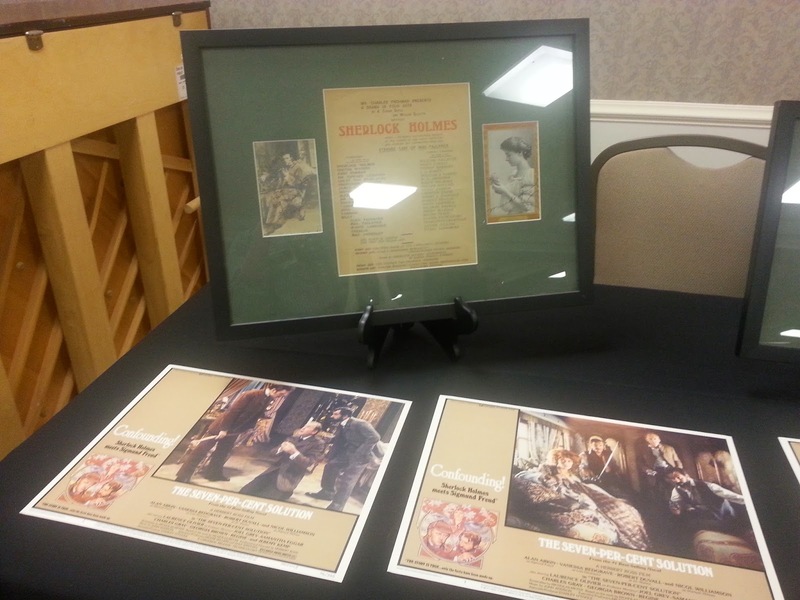 Eli Lilly spend a vast sum on Sherlockian memorabilia, and the library continues the tradition. I had the pleasure of looking at the Hounds of the Baskervilles original script complete with director's bored doodling of Holmes' profile. I also got to touch a page of the Gutenberg bible! 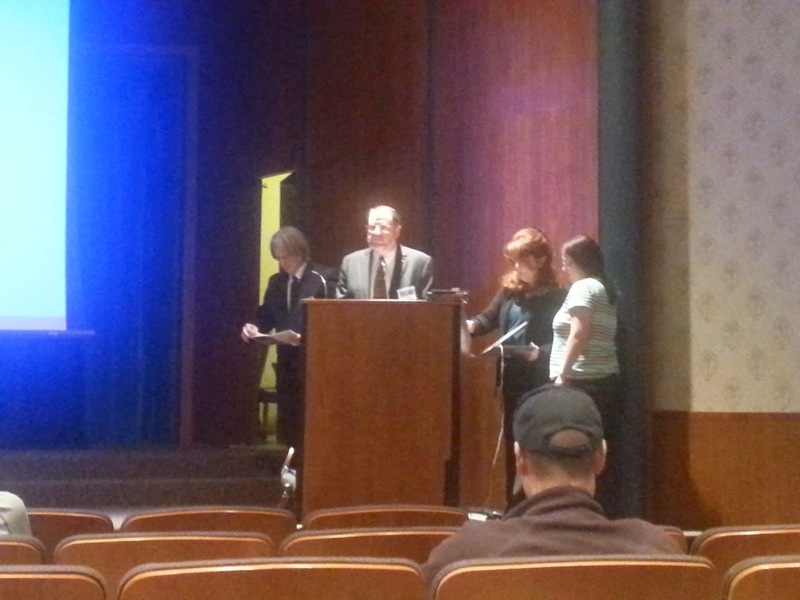 Also, everyone got to touch a first edition of A Study in Scarlet. The exhibit also included other artifacts of the Victorian era including this thing called the Electropoise. You can read more about it here since they phrase the description better than I. The most interesting thing about it was that there were so many knock-offs of this device for as much as a fifth of the cost, and yet they were all getting the same quality of treatment. 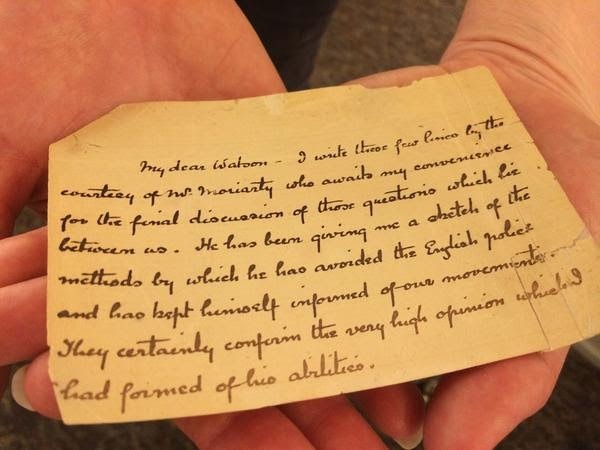 A note from Reichenbach, written in ACD's own hand. Later on, we watched The Hound of the Baskervilles starring Basil Rathbone and Nigel Bruce. Mulling it over, Holmes never disproved the family curse, did he? Stapleton, a member of the family, did indeed die a violent death and a hound was involved. Interesting parallels between Beryl Stapleton and Mrs. Berryman. Both had brothers who went on a very bad way. 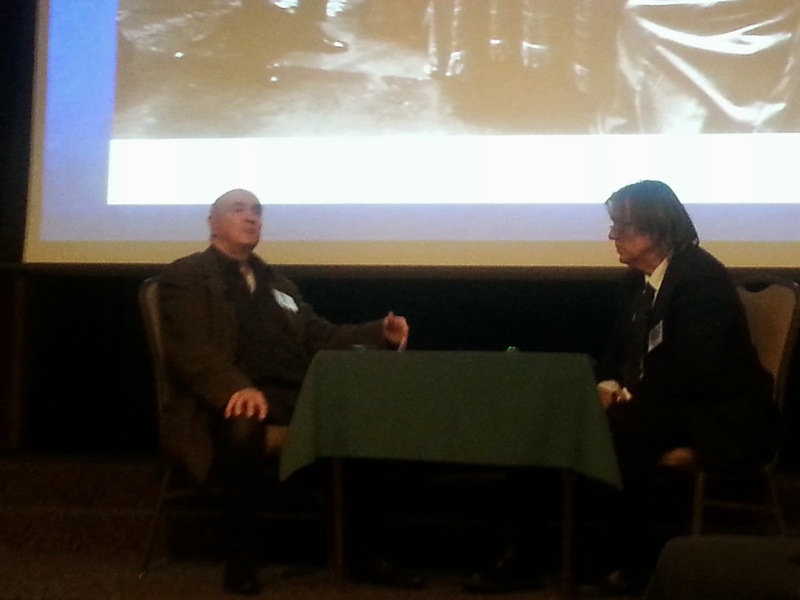 Saturday had entertaining speakers, the dealer's room, dinner, and The Adventures of Sherlock Holmes with Basil Rathbone on the giant projections screen. Everyone who was part of the conference got first choice of seating. In the dealer's room. Mr. Doyle had his costume collection for people to look at and enjoy. These are actual set costumes. I got a look at Nigel Bruce's vest. He looks fatter on screen than he actually was. 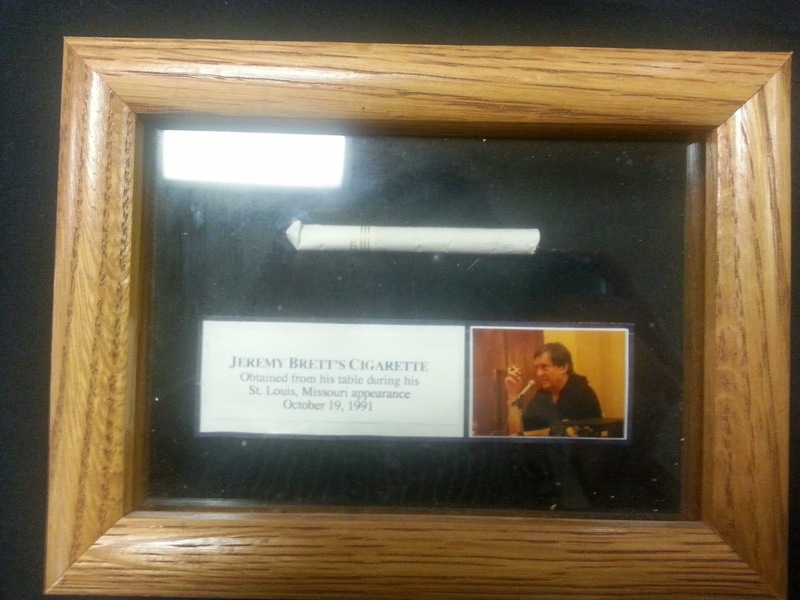 Jeremy Brett's cigarette from when he visited St. Louis! 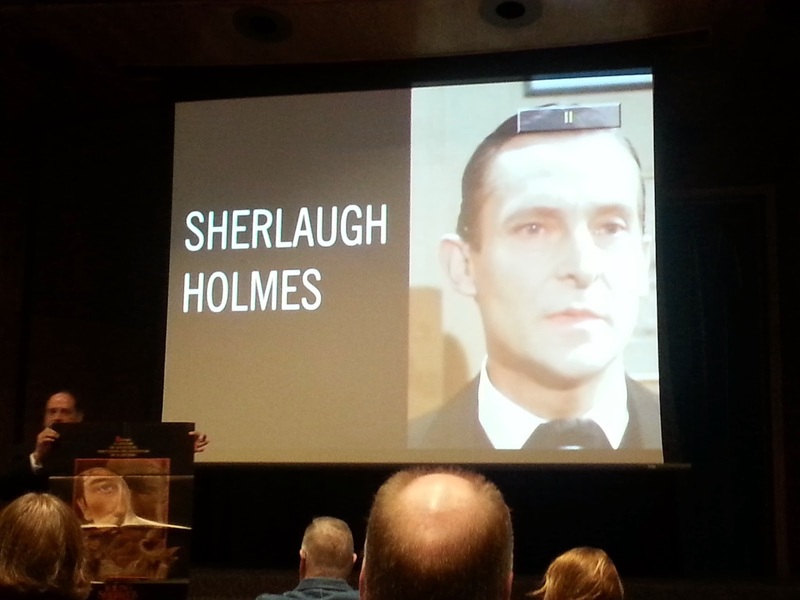 In the future, we shall use the residual DNA to create ANOTHER Jeremy Brett. Further introductions. 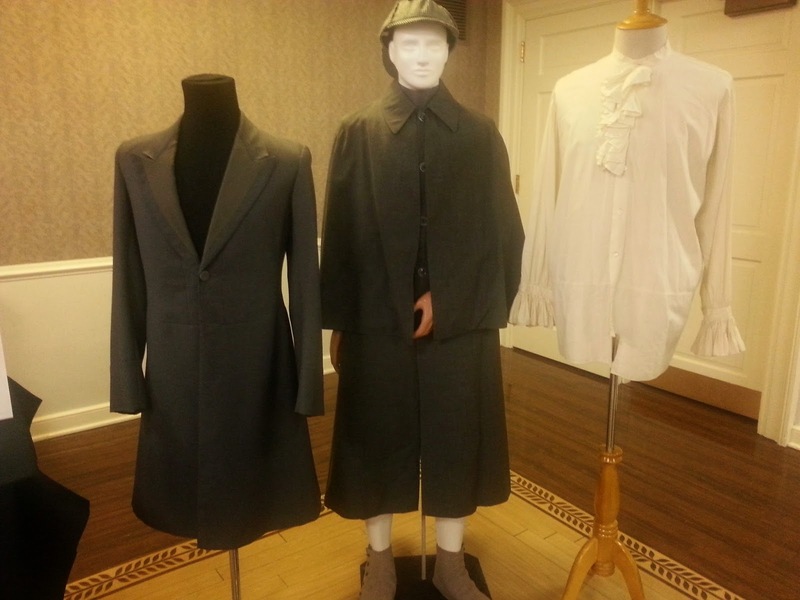 It looks like Bonnie Macbird up to discuss adaptations of Sherlock Holmes. The lecture was very funny and also well prepared. 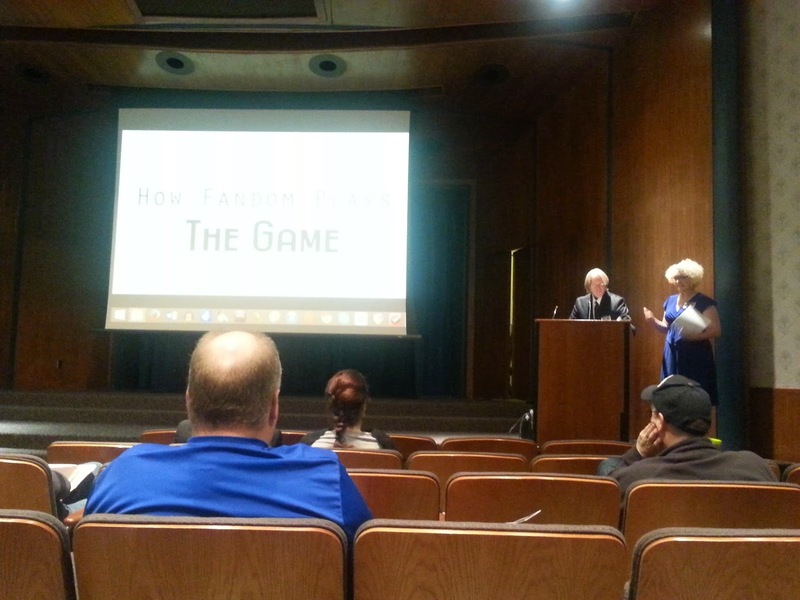 Kristina Mamente discusses fandom. Nobody has an excuse for not knowing what "headcanon" or "fanfiction" means anymore. I did get a little teary when I saw this. 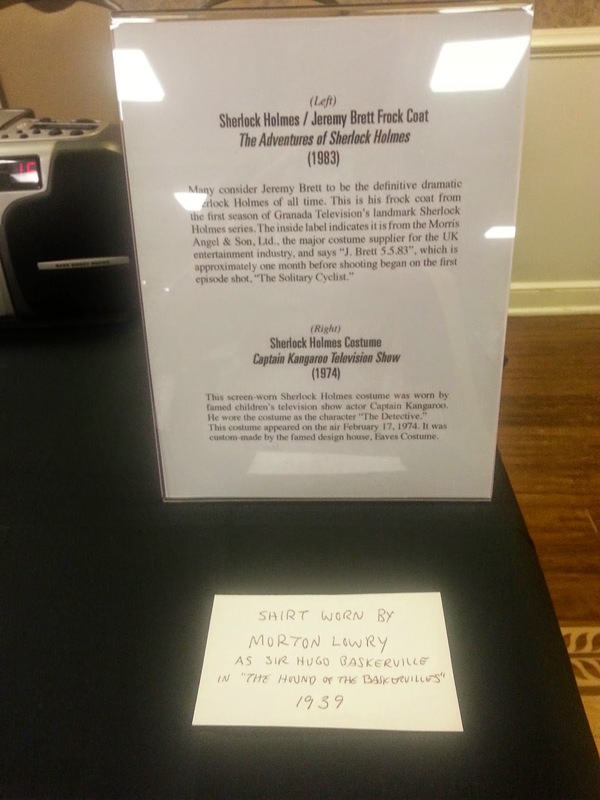 Something about Sherlockian solidarity is just so moving. This presentation by David Stuart Davies was side splitting. It was all about the comical moments in the canon and Sherlock Holmes adaptations. Radio adaptations; a history by Bert Coules. It gave me the urge to buy all the radio dramas I could find. 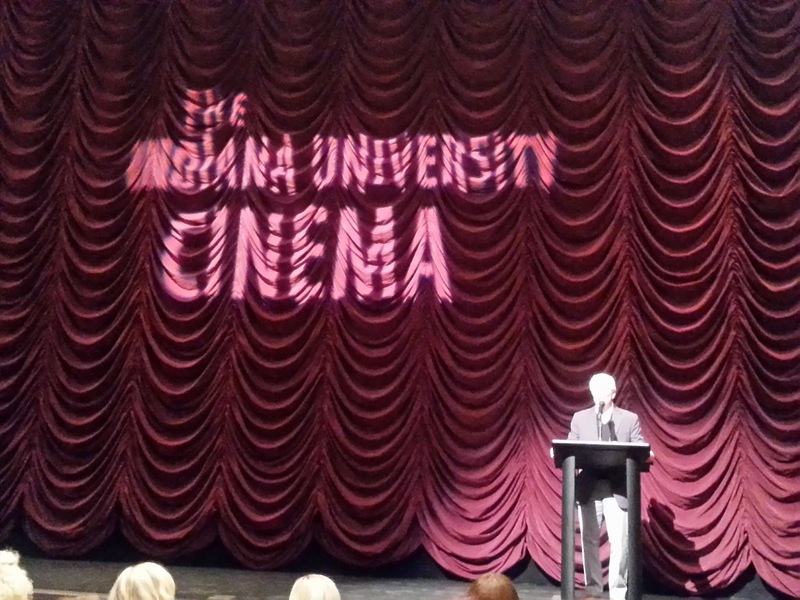 By the way, there was a silent film screening called A Case of the Tyrant's Daughter. Silent films are great because you can talk through them the entire time. As long as you keep your eyes on the screen, you don't miss a single thing. 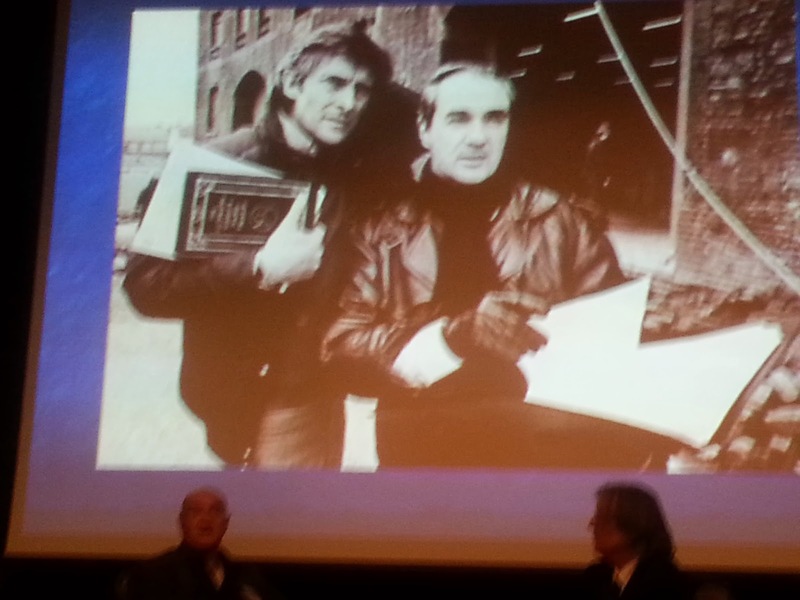 A director of the Granada series, Paul Annett talks with us! Brett: They're very behind, aren't they? Annett: They'll never get done, darling. 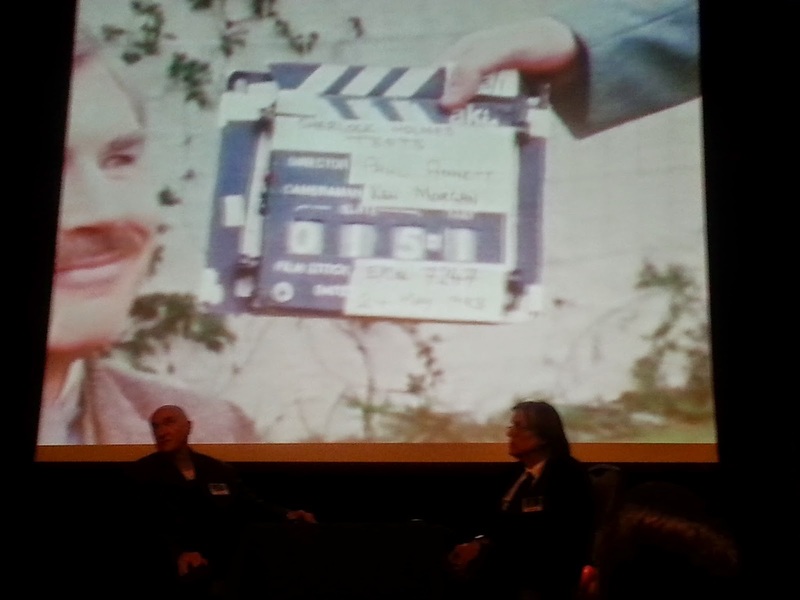 Never before seen screen tests with David Burke and his melting smile. 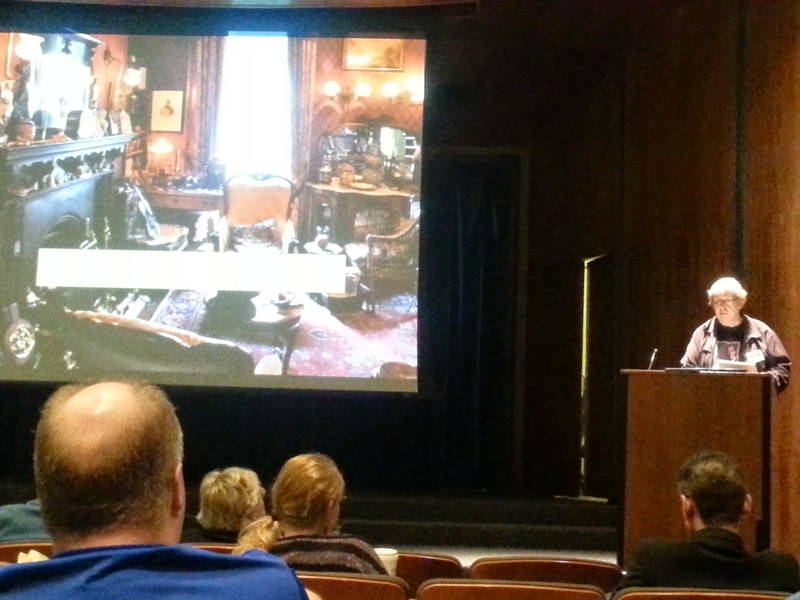 We conclude with Professor Naremore with his lecture and the movie The Adventures of Sherlock Holmes. Spooky and dramatic. Sunday was brunch day, and a last chance to say goodbye to both new and old friends. 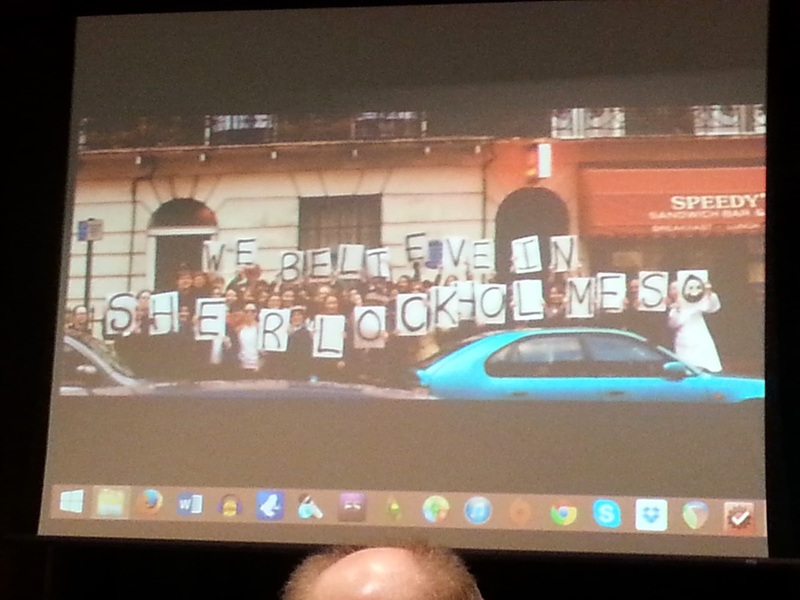 Sherlockian gatherings have ruined me, I think. Real life is so boring now. It was tedious before, but now I know there are these conferences and conventions that are actually transport vehicles. Every conference is a different reality where it's always 1895.